The Chambers Oral History Graduate Student Fellowship is given annually to a Rutgers-New Brunswick History Department graduate student who utilizes oral history in their work in some manner and/or works closely with the staff if the Rutgers Oral History Archives (ROHA). This Fellowship is funded by the generosity of The Cobb Foundation and The Ware Foundation. It is designed to further the use of oral history and scholarship, support the Rutgers Oral History Archives, and honor Distinguished Professor Emeritus of History John Whiteclay Chambers II, who retired from the Rutgers University faculty in 2017. Born in West Chester, Pennsylvania, in 1936, Chambers graduated from Temple University in Philadelphia with a Bachelor’s Degree in Journalism in 1958. Moving to California, he pursued a career as a journalist, first as a newspaper reporter at the Pasadena Independent, Star-News and then as a news and documentary writer-producer at KRON-TV, the NBC affiliate in San Francisco. While at the latter, he earned a Master’s Degree in History at San Francisco State University. Subsequently after studying at Columbia University under Professor William E. Leuchtenburg, he received his Ph.D. in American History in 1973. He taught at Barnard College, Columbia University, for nearly a decade before joining the Rutgers-New Brunswick History Faculty in 1982. He was a respected member of the Rutgers faculty for 35 years. 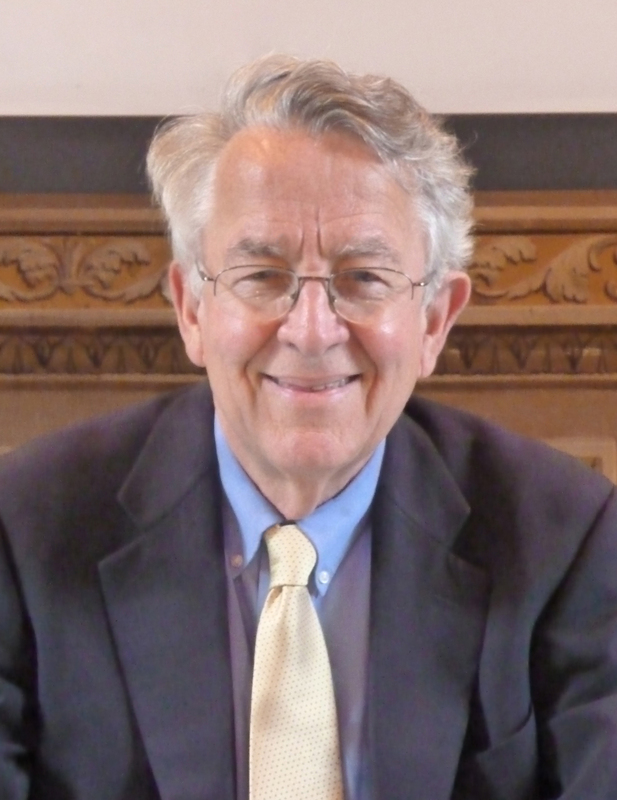 An award-winning American historian and teacher Professor Chambers authored or edited more than a dozen books, including The Tyranny of Change: America in the Progressive Era, 1890-1920 (1980, with new, updated editions in 1992 and 2000), To Raise an Army: The Draft Comes to Modern America (1987), The Eagle and the Dove: The American Peace Movement and U.S. Foreign Policy, 1900-1922 (1976, updated in 1991), World War II, Film and History (1996), The Oxford Companion to American Military History (1999), and Bang-Bang Boys, Jedburghs, and the House of Horrors: A History of OSS Training and Operations in World War II (2008, 2016). Several of his books won scholarly prizes, and during his 45 years of teaching, he received outstanding awards for teaching at both Barnard College and Rutgers University. In 1994, while leading the Rutgers Center for Historical Analysis, Professor Chambers helped guide Rutgers alumni in the creation of the Rutgers Oral History Archives. From 1994 to 2017, he chaired its Academic Advisory Board, taught oral history and worked ceaselessly as academic champion of the ROHA. Upon his retirement as Distinguished Professor of History, he was awarded the Stephen E. Ambrose Oral History Award at the 15th Annual Meeting of the Rutgers Living History Society, which supports oral history and the ROHA. The Rutgers Oral History Archives seeks to document the life experiences of New Jersey residents and/or Rutgers University faculty, staff and alumni through its interviews and in partnership with individuals and entities within the State and University communities carrying out similar work. ROHA makes the resultant collection available for the benefit of scholars, students and others around the world through its digital online archive. ROHA has thus far conducted thousands of oral history interviews following the life-course method. In 1997, ROHA became one of the first oral history programs to deliver its material to a global audience through the Internet. It soon established an international reputation. The prestigious Oral History Online index ranks it in the best fifteen in its "Top 100" list of oral history websites, placing the ROHA in the company of the prominent oral history collections at Columbia University, the National Aeronautics and Space Administration, and the Presidential Libraries of Harry S. Truman and Lyndon B. Johnson. Applicants for the John Whiteclay Chambers II Graduate Student Fellowship, which provides a research stipend, should submit a 500-word abstract of their research, highlighting how they plan to use existing oral history resources and/or conduct new oral histories in the course of their work. Awardees will be expected to give a lecture on their research and their use of oral history at an appropriate time and venue for the benefit of the community that supports and utilizes the Rutgers Oral History Archives.